Continuing its special campaign against drug trafficking, the Muktsar police have recovered record 25.5 kg opium near village Malout by nabbing three smugglers, who were moving in a car.Disclosing this here today, Mr. Surjit Singh, Senior Superintendent of Police, Muktsar said that a police party led by SI Iqbal Singh, Incharge CIA, Muktsar and ASI Amrik Singh, Incharge Narcotic cell had laid a naka near village Malout in the area of Police station Malout Sadar for checking of suspected persons. During checking they stopped a silver colored Maruti Car bearing number RJ 08-CA-0290, which was being driven by a youth named Nirmal Singh @ Nimma s/o Dyal Singh and two more persons namely Dyal Singh s/o Partap singh r/o Saawalpur PS Talra, district Bundi (Rajasthan) and Uday Lal s/o Debi Lal , r/o Gwar PS Nainwa , district Bundi of Rajasthan were also in the car. Their car was searched in the presence of Mr. Darshan Singh, DSP, Gidderbaha. During search 25.5 kg opium packed in two polythene papers was recovered from the gas tank of the car. The gas tank of the car was fixed through m-seal.The District police chief informed that a case number 45 dated 25-6-13 u/s 18/25/61/85 NDPS Act has been registered at Sadar Malout police station in this regard and the arrested smugglers would be presented in the court to get their police remand for through investigation. 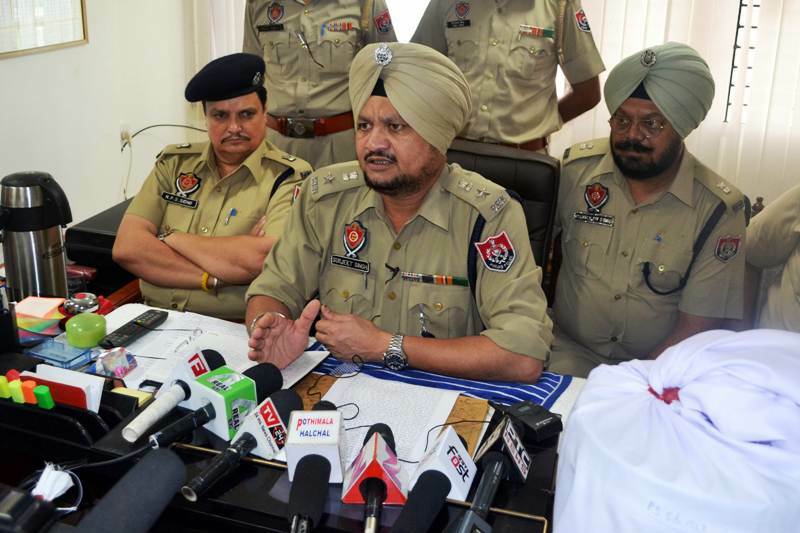 He pointed out that Dyal Singh was a known smuggler and was arrested with 15 kg opium in the area of Sadar Muktsar police station in year 2002. He remained in jail for five and half years after conviction in that case. He was again arrested along with 13 kg opium in year 2009 in the area of PS Jaito ( Faridkot ) but after release on parole he did not reported back at the jail.